MSP (Managed Service Provision) and RPO (Recruitment Process Outsourcing) are an increasing trend in the recruitment market. These services allow you to use a single company to look after all of your roles at an agreed rate per hire that usually has a discount. This helps to free up your time and reduce the costs of your hires in the long term. These providers can also look after secondary agencies, which they can then use to provide support in specialist areas utilising a 2nd tier supplier system. 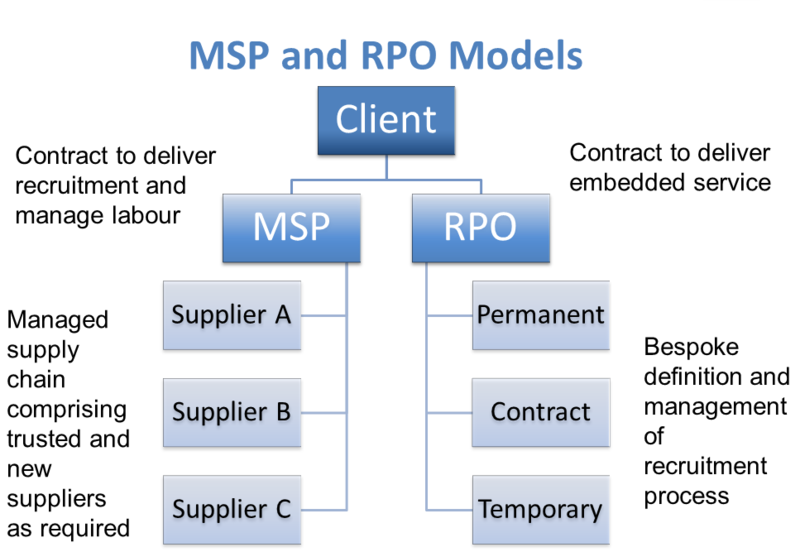 The 2nd tier company will liaise only with your chosen MSP/RPO ensuring continuity of the processes and a single point of contact. Choosing an MSP/RPO partner is a crucial decision that can greatly benefit or harm your company and so it’s important you are partnering with the right company. Parkway Engineering understands what it takes to be a good MSP/RPO and delivers this service in a bespoke package that fits your company’s needs, rather than a one size fits all approach. Together we will develop a process that truly delivers to your requirements and excels in delivering exceptional service to all agreed SLAs.